Update: You can read our in-depth, hands-on review here. Most smart-home systems rely on a central hub to manage light switches, wall plugs, door/window sensors, and other devices. Zuli has a different idea: Its smart plugs use Bluetooth LE (Low Energy) to form a mesh network. The network uses your smartphone to determine your location, so it can turn a light on when you enter a darkened room, and turn it off when you leave. The clever concept enjoyed a successful Kickstarter campaign earlier this year, and more recently caught the attention of several seed-round investors, including Logitech. Zuli Smartplugs look like most of their competitors: They’re wall warts that you plug into an electrical socket, and then you plug the lamp or appliance that you want to control into the wall wart. Unlike the smart plugs from Belkin and D-Link that rely on your Wi-Fi router, or similar devices that use ZigBee or Z-Wave chips and depend on a central hub (such as the Lowes Iris), Zuli Smartplugs form a proprietary mesh network of their own (more on this later). Zuli sold out its first production run after a successful Kickstarter campaign. It plans to ship a new batch of smartplugs by the end of 2014. In that respect, Zuli’s plugs function like most of their competitors, too. 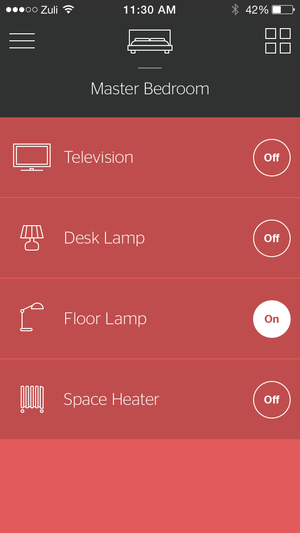 You can deploy a single plug and control it with your smartphone using Zuli’s free app. But if you deploy three or more plugs to create that mesh network, the plugs will act on your proximity as reported by your smartphone (support is currently limited to the iPhone, but Zuli is working on an Android app, too). Zuli Smartplugs are now compatible with Logitech’s Harmony Living Home lineup. Unlike some smartplugs, Zuli’s can also dim an attached lamp via its smartphone app. Zuli’s system is deceptively simple, but it’s very powerful. You can trigger some brands of smart plugs using a separate motion detector, but the motion detector costs almost as much as the smart plug. 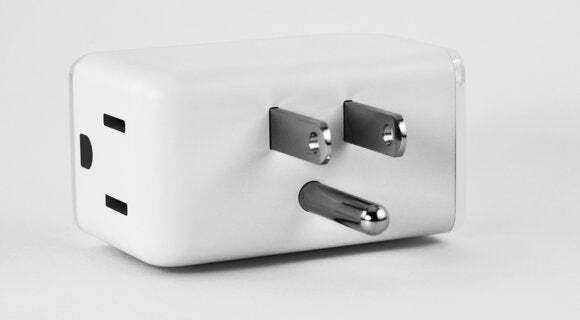 The firmware that controls Zuli’s plugs can differentiate users and control the devices plugged into them according to each user’s preferences. So if Dad prefers the lights in the home theater bright, the Zuli plug will turn them on at full power when he enters the room. 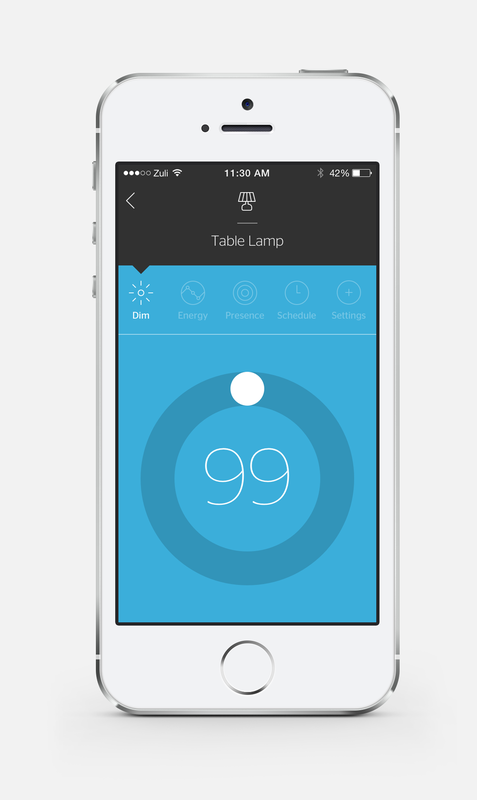 If Sis prefers a darker room, the plug will dim the lights to the level she has set in the Zuli app on her smartphone. When everyone leaves the room, the lights will automatically turn off. Right now, the first person to enter the room rules the roost. So if Sis arrives first, Dad’s preference will be ignored. But Umphreys said Zuli is developing a hierarchical system that will assign each user a priority with the ability to override the preference of any lower-ranked user. Proximity awareness also enables the Zuli app to present controls for the room you’re currently in, as opposed to presenting a list with every smart plug in your home. I have more than 50 Z-Wave nodes in my home, and the system I use makes me scroll through the entire list to find the one I want to control. I’ve organized the various nodes into groups, but I still have to call up the relevant group to narrow the list. Yes, it’s a pain. 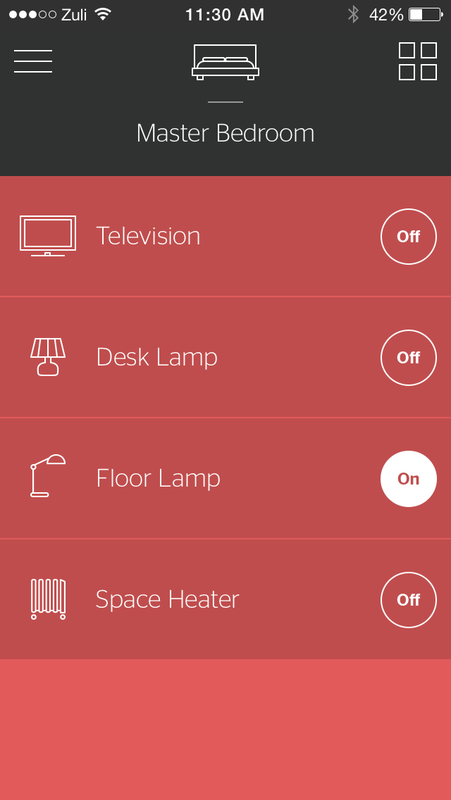 Zuli’s proximity feature lets the app present controls only for the smartplugs in the room you’re currently in. You can also program schedules for turning lights and appliances on and off, but you must be within range of the network to do that. There is no software-as-a-service infrastructure in place that would allow you to log into a website to control your smart plugs. Zuli sold out its first batch of smart plugs after its Kickstarter campaign, and it’s planning a full product launch for the end of the year. Along with a cash infusion, Logitech has partnered with Zuli to render its smart plugs compatible with Logitech’s Harmony Living Home lineup. That will enable Zuli Smartplugs to operate in concert with Nest thermostats, Philips Hue LED lights, August smart locks, and other devices in the Harmony ecosystem. Mesh networks are becoming increasingly popular because each node in the network can relay information to all the other nodes within its range. This eliminates range as an issue, because there’s no dependence on a single, centralized device such as a router or a control panel. When you need to increase the range of your network, you simply deploy additional nodes. A command propagates over the network like a digital bucket brigade until it reaches its intended target. It’s the same technology that Sonos uses for its vaunted multi-room audio system. Zuli will be sending us a few of its smart plugs for testing, so stay tuned for a full hands-on review. In the meantime, we’d love to hear your thoughts on the smart home concept. Are you itching to control your house? Do you already have a system in place? Or do you think this is all much ado about nothing? Let us know in the comments!